Congratulations are in place, my dear readers! It’s the 10th release by our very own, very independent and very net label Trippin’ The Rift Records. But the true reason for celebration of course isn’t just the number. 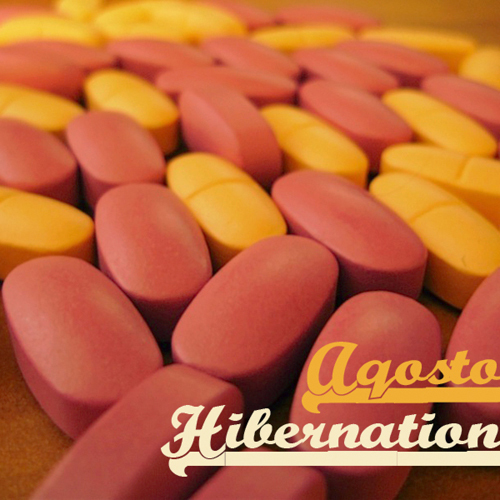 Aqosto – Hibernation is a true Holiday gift from this talented musician. Hibernation is a work of art, 13 tracks that are 13 brush strokes that paint a very abstract yet very relatable picture, especially this time of year, when sleep is spreading way outside our bedrooms. When live processes come to a halt, when a warm isolated cocoon of a space seems like the best place to exist, when passion, love and the very ideas of any kind of activity, physical or intellectual, feel almost nonsensical, then hibernation comes to mind as a solution for everything. Aqosto researches such possibility in his album. Hibernation, the extreme slowing down of body and mind, putting the life on hold, communicating with the surrounding world through dreams. Extending hibernation to our entire lives. The dangers of such approach are the main focus of the album – those little beautiful nuances and details of the world (like love, for example) that will be deafened by our very own slowed down heartbeats if we let our souls to fall asleep. This conflict of beauty and rationalism, senses and reason is reflected through dark, sharp beats and tender, sensual melodies and rare and faint vocal samples. 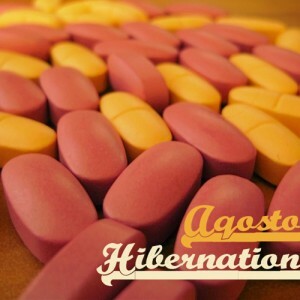 Aqosto always welcomes any kind of feedback for his releases, so please check out Hibernation and leave some! You can download Aqosto – Hibernation on Bandcamp or Mininova (if you prefer torrents). You can also support the artist buy purchasing the release (or single tracks) on Juno Download.